Ahead of the show's return next month, Netflix have released a new featurette. 16 years have come and gone since we first stepped foot in Stars Hollow and only 52 days remain until the tiny Connecticut town once again ​lights up its iconic gazebo in Netflix's Gilmore Girls: A Year in the Life. In anticipation of the upcoming four-part event, take a nostalgic look back at the series we couldn't get enough of ​and ​the cast that made it so special with this all-new featurette. For more Gilmore Girls goodness, visit Taylor Doose's newly updated TownofStarsHollow.org. 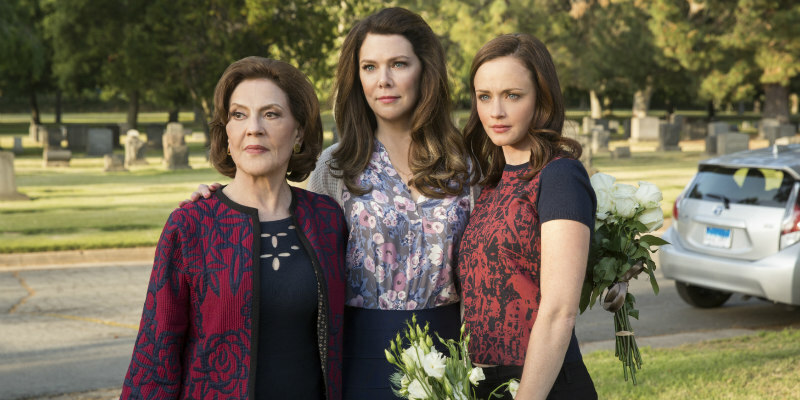 ​And if you need a quick refresher on season 1-7, check out The Gilmore Girls in 60-second recaps, narrated by Stars Hollow's own jack of all trades, Kirk. Gilmore Girls: A Year in the Life launches Friday, November 25, everywhere that Netflix is available.